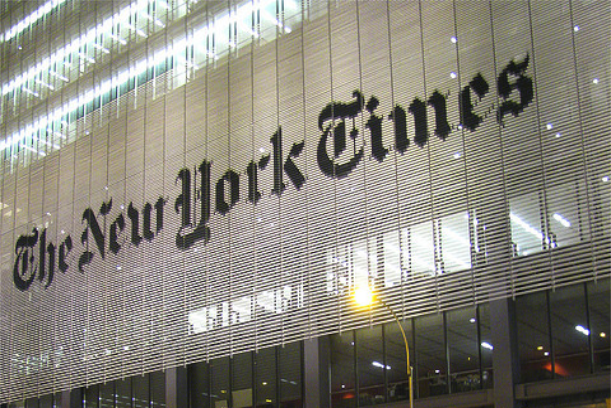 The New York Times Co. (s nyt) released financial results for its most recent quarter on Thursday morning. More than anything, they are a snapshot of a traditional media giant that is trying desperately to move into the digital future, but keeps getting dragged back down by the weight of its declining legacy businesses. The paper’s newly launched “metered access” pay plan has brought in 100,000 subscribers, and its online advertising revenue rose. But that was more than offset by a sharp drop in profits and a continuing decline in ad revenue. For the NYT, it seems to be one step forward and two steps backwards. Not surprisingly, the Times tried to focus on the good news: that about 100,000 people have signed up as a result of its subscription plan (although visitors and pageviews have fallen, according to some estimates). Although the news outlet didn’t give specific dollar figures, those subscriptions will likely produce about $20 million in annual revenue for the company — depending on how many of them signed up for the initial discounted offer of 99 cents a week. As Felix Salmon of Reuters noted, signing up 100,000 new subscribers puts the newspaper one-third of the way to its target for the year. So much for the good news. Unfortunately for the NYT, making $20 million in a year from its subscription plan is a drop in the financial bucket: the company’s operating costs for its News Media Group, which includes the New York Times and the Boston Globe, were $500 million for the first quarter alone. Even if the subscription plan hits its goal of 300,000 subscribers, it will only generate about $60 million in revenue, which is barely enough to move the needle for a company of the NYT’s size — and that’s not including the cost of implementing the wall in the first place. The bad news in the paper’s financial statements spilled from almost every line: profit for the quarter fell by more than 50 percent, and operating profit was down by almost 30 percent. Advertising revenue fell by more than 4 percent compared with the previous year, circulation revenues fell by almost 4 percent as well, and newsprint expenses climbed by almost 13 percent. Digital advertising rose by 4.5 percent, but didn’t even come close to making up for the 7.5 percent decline in print advertising, which still accounts for about 70 percent of the company’s overall ad revenue. To add insult to injury, the company’s former star online performer — About.com, which has produced consistent revenues for the NYT since the company acquired it in 2005 for $415 million — got hit by Google’s recent “content farm” algorithm updates: the unit’s revenues were down by more than 10 percent, and its operating profit fell by 14 percent. That’s not as bad as the impact likely was on Demand Media (s dmd), but it’s still not good. In a statement, CEO Janet Robinson said that the results reflect “the continuing transformation of our company,” and that the subscription plan and other developments offer “reason for optimism about the future of our company.” But it’s hard to see how even $60 million is enough to produce much optimism, since that won’t make up even a fraction of the ongoing decline in print advertising. There are those in the media industry who appear to have made the transition from traditional media to new media, or are closer to it than the Times: the Journal-Register Co., under CEO John Paton, has revamped the entire company with a “digital first” approach, and recently paid staff bonuses based on its profitability. Unfortunately for the NYT, the chain of small dailies and weeklies couldn’t accomplish this without effectively going bankrupt first — just as the Christian Science Monitor couldn’t accomplish its transformation without shutting down its daily newspaper and focusing exclusively online. Neither of those seem like realistic options for the New York Times, which is trapped between a shrinking traditional past and a digital future that doesn’t even come close to paying the bills. And the harsh reality is that there is no magic bullet, digital or otherwise, that is going to make that transition any easier. 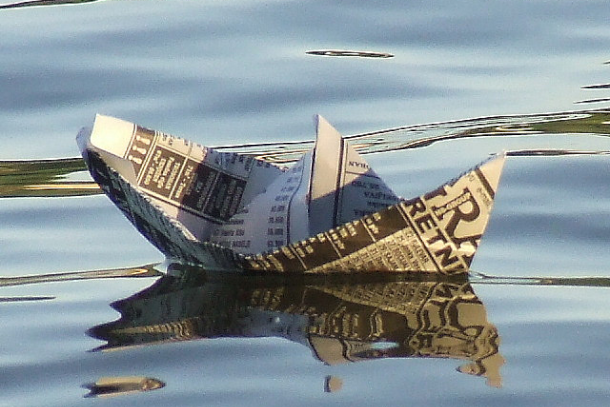 However, it would be sad to see newspapers and traditional media go down. No matter how stodgy, they’ve been very good with investigative journalism, and I’d hate to see that aspect go. Outlets like the Huffington Post have a lot of opinions and op-ed, and not much of original investigative journalism. Still there’s no reason why a purely online model couldn’t also support investigative efforts. The subscription numbers might be off next Quarter and probably down. Much of this quarters revenue I suspect came from unsuspecting subscribers that took the bate for the .99 cent trial and then forgot to cancel and got whacked with the $20.00 dollar ridiculous monthly fee. I know, I was one of them. I have checked with many other people who had this happen to them as well. Mathew – Thanks for this post, though it’s painful to watch this unfold, esp since so many of us are rooting for the NYT to find some business model that’s sustainable. One idea that still intrigues me: Do you know of any mass circulation newspapers or magazines that have attempted to organize readers into Groupon-like buying blocs? That is: Instead of selling eyeballs to advertisers, the publications aggregate demand for particular products, then negotiate a wholesale price with retailer. That’s the idea here â€” http://societymatters.org/2010/12/02/opportunity-awaits/. Is there a reason why such an arrangement wouldn’t / shouldn’t / couldn’t work? One idea that still intrigues me: Do you know of any mass circulation newspapers or magazines that have attempted to organize readers into Groupon-like buying blocs? That is: Instead of selling eyeballs to advertisers, the publications aggregate demand for particular products, then negotiate a wholesale price with retailer. That’s the idea here â€” http://societymatters.org/2010/12/02/opportunity-awaits/ . Is there a reason why such an arrangement wouldn’t / shouldn’t / couldn’t work? Awesome idea Alan. Never thought about it like that before, but In theory, it ‘could’ work. I guess at this point though, anything is worth not ruling out! Haven’t heard of anyone doing that, Alan. I do know that a number are experimenting with group-buying in a number of ways, including running their own Groupon-style services and doing partnerships with companies like Groupon, LivingSocial and Tippr.